Taking Heating to NEW Heights with vertical heating solutions ..
Myson are excited and pleased to announce the introduction of three NEW vertical heating solutions. The introduction is set to expand their heating solutions portfolio even further, giving you and your customers even more choice when it comes to specifying heat emitters. The first NEW addition is the LST Vertical, designed with safety in mind, it comes equipped with a round steel casing which ensures pipework is concealed. It comes with a 10 year warranty for both the emitter and casing, fully complies with NHS Guidance notes 1998 and is protected with anti-bacterial paint. The NEW LST Vertical is the slimmest and widest panel LST on the UK market with widths ranging between 420mm & 870mm. Joining the rest of the LST family, it creates a total range of 94 stocked sizes, all in all making it the perfect heating solution for hospitals, care homes, schools and other public facing facilities. In addition, while working on the LST Vertical Myson came to the conclusion that they needed a range of vertical premium panel radiators to complement their existing Plan & Plan Plus range. So, have welcomed the Plan Vertical and Plan Plus Vertical, creating a combined Plan & Plan Plus family range consisting of 230 stocked sizes. 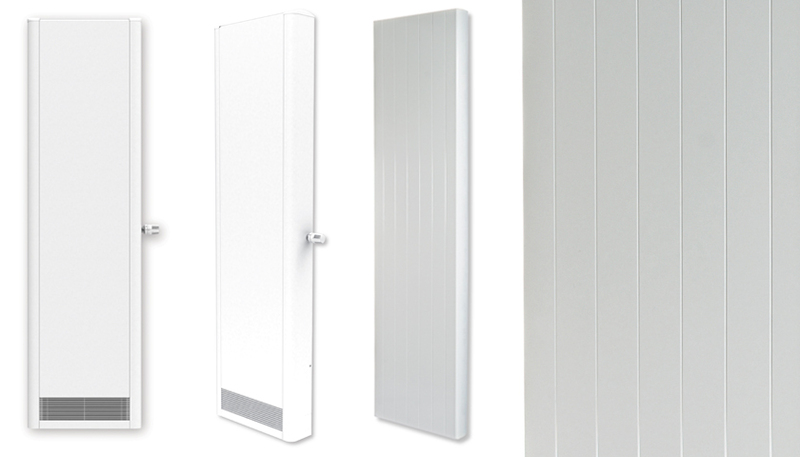 The ideal solution for offices, hotels and contemporary buildings, the sleek flat front panel design of the Plan Vertical offers a modern alternative to the traditional panel radiator, while the Plan Plus Vertical takes modern styling one step further with a decorative front panel. Both models come equipped with stylishly curved side panels, offer a 10 year guarantee and come in heights of 1800mm and 1950mm. To find out more about the new vertical heating solutions by Myson, please click here.